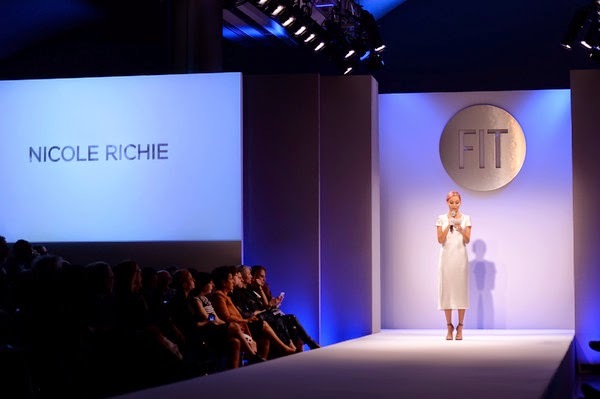 Nicole Richie attended (29th April) the FIT future of fashion runway show in NYC. Nicole wore a simple satin midi dress by Calvin Klein. House Of Harlow 1960 arrow necklace. Siren 'Ivette' classic strap sandals.